"Defensive Handgun" is a class that focuses on practical and defensive based skills crucial to fighting with a handgun. 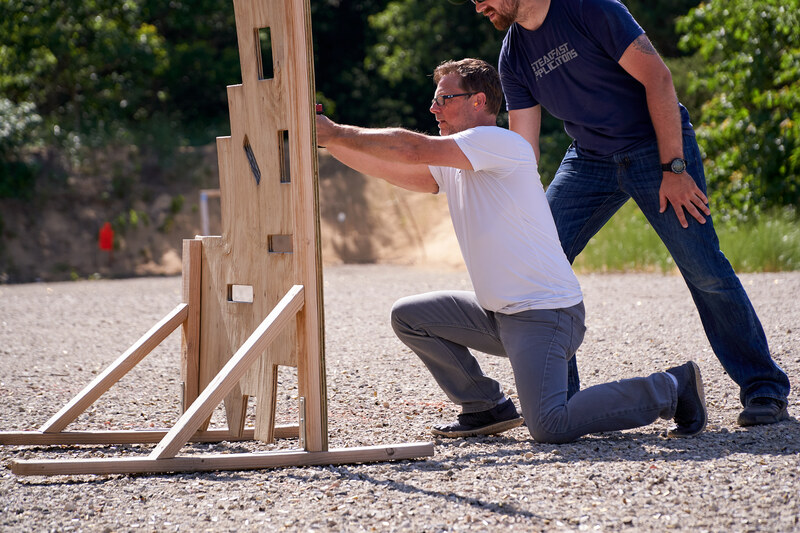 Upon completion, the student will have a better understanding of defensive techniques such as one handed shooting, non-standard shooting positions and the use of cover, all while being held to a high degree of accuracy and maintaining safe firearms handling. This is an intermediate level class, therefore sucessful completion of "Structural Handgun" or equivalent (please email for details) is a prerequisite. Topics Covered Fundamental Overview Draw and Presentation Reloading Techniques Stoppage Identification and Resolution Multiple Target Engagements One Handed Shooting Techniques Alternate Shooting Positions Use of Cover Shooting While Moving *Additional Discussions may include: Single handed reloads and malfunction clearances Personal continuation of training Skills in context Equipment Required Practical and reliable Defensive Handgun with at least 3 magazines (more if your magazines hold less than 10rds) Rigid and safe holster (Desinged specfically for students firearm, fully covers the trigger guard.) Outside the waistband (OWB) or Appendix Inside the waistband (AIWB) only. Magazine carriers Belt suitable for supporting the weight of firearm and magazines Minimum of 300rds of ammunition	Eye and Ear Protection Water source for 6-8 hours *Recommended Hat, sunscreen, insect repellant, rigid footwear, drinks and snacks, folding chair, notepad and pen What to Expect Training outside, being on your feet for 8 hours Moderate physical activity In depth discussions covering relevant topics Self and group evaluation in a "Willing to learn" enviroment Prerequisites Student must sucessfully completed "Basic Handgun" or equivalent (email for details) Contact [email protected] or call 616-399-3011 to register. Skills and Drills Night with Steadfast Applications. Find your Personal Baseline. This will consist of drills that we have found beneficial to our own training that are either scored, timed, or both. We will explain the drill, what that particular drill focused on in terms of training, and why it's important. You will leave with a personal score sheet which would be your Personal Baseline performance in which to train against and raise. Targets will be made available to attendees to facilitate personal growth during future training sessions. A holster will be required for most of the drills we will run. Round count is up to you, but we recommend 150. Will be from 5pm until dark. You can contact us at Steadfast Applications on Facebook, at [email protected] or by calling Long Range Archery at 616-399-3011. “Introduction to Carbine" is a purpose built class for students with little to moderate experience with the AR-15 series of firearms. The focus of this class is to get the student to understand the operation and nomenclature of their firearm, as well as how to achieve a steady firing position and press accurate shots. Upon completion of this class, the student will have a better understanding of zero theory, Minute Of Angle (MOA) and mechanical offset. “Structural Carbine” is a class designed to lay the foundation of carbine manipulations and shooting techniques. 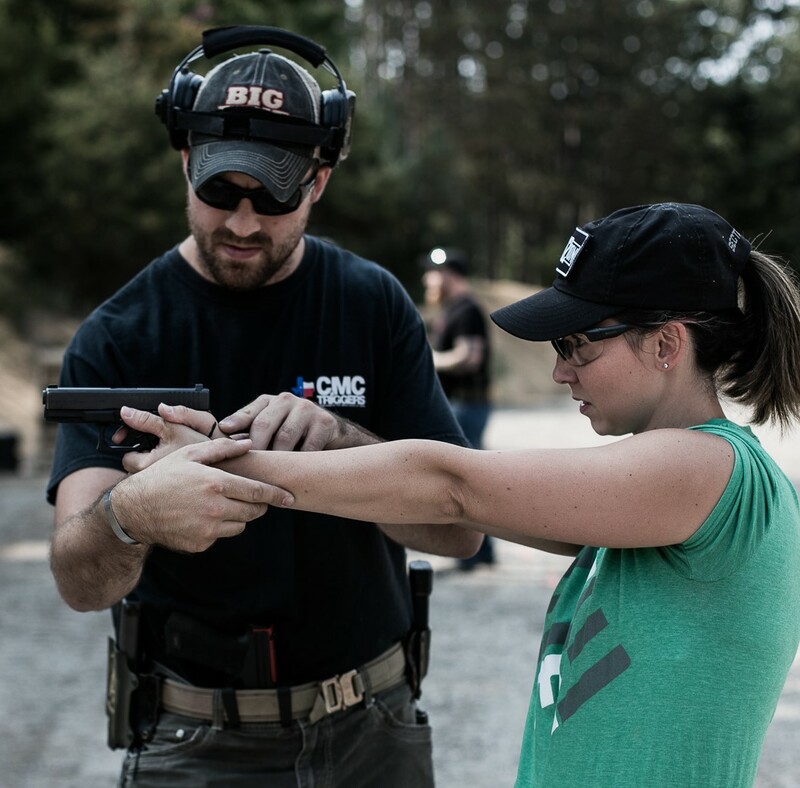 This class covers topics such as recoil mitigation, multiple target transitions, and different types of reloading techniques. By the end of this class, the student will have a better understanding of carbine operations, their “personal baseline”, and information about further training opportunities. This half day class is based off of the second half of "Structural Handgun" in which we cover the specifics of drawing from the holster and reloading techniques. This specified class will allow more repetitions to refine the shooters performance and introduce techniques of drawing from concealment.